Fig. 3. 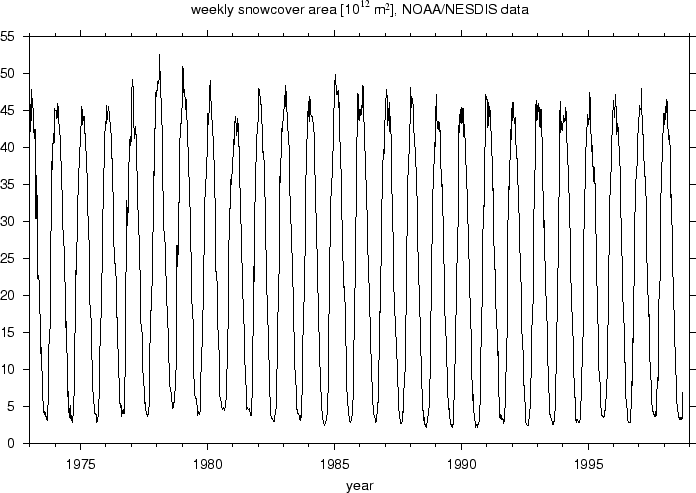 Weekly time series of the total snow cover area over the northern hemisphere (in 1012m2) from 1973 to 1997.